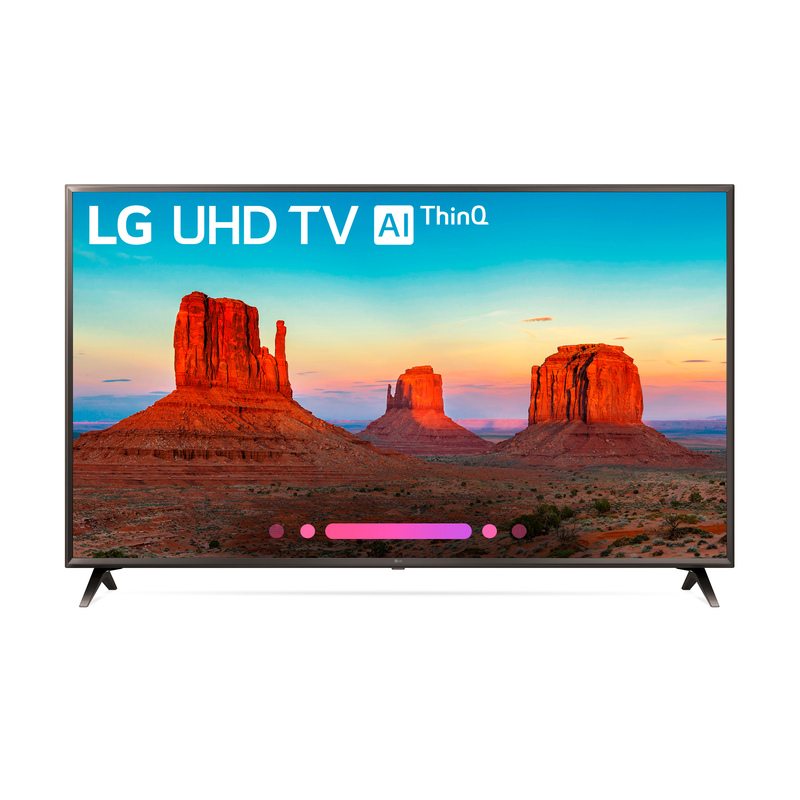 LG ThinQ AI LG UHD TVs with AI (Artificial Intelligence) ThinQ become the center for your connected smart devices. Beyond apps and entertainment, LG AI TV uses intelligent voice control to create a center for the smart home and beyond. webOS Queue up movies, TV shows, online content and more from top content providers then toggle between them with an impressively intuitive interface. Paired with the LG Magic Remote, seeing all your favorites is as easy as the flick of the wrist and the press of a button. Quad-Core Processor Why does LG Ultra HD TV look so good? At its heart is the mighty quad-core processor that works tirelessly to reduce distracting video noise, enhance sharpness and assure accurate colors. 4K Active HDR This LG 4K TV supports premium content choices, all optimized with scene-by-scene picture adjustment. The multi-format 4K high dynamic range support includes HDR10 and HLG, both with LGs advanced tone mapping technology that provides scene-by-scene optimization. Ultra Surround Surround yourself with heart-pounding audio inspired by todays sophisticated movie soundtracks. Ultra Surround delivers an immersive audio experience from seven virtual channels, requiring only the built-in speakers of the TV. Tbook.com crawls the web to find the best prices and availability on products like LG 55" Class 4K (2160) HDR Smart LED UHD TV w AI ThinQ 55UK6300PUE. This product is one of the more popular items we list which is why it is in our "hot deals" section. If you have any questions on this product, please give us a call at 734-971-1210 during the hours of 9am - 5pm EST for assistance. Thank you for shopping at Tbook.com, the Internet Department Store!